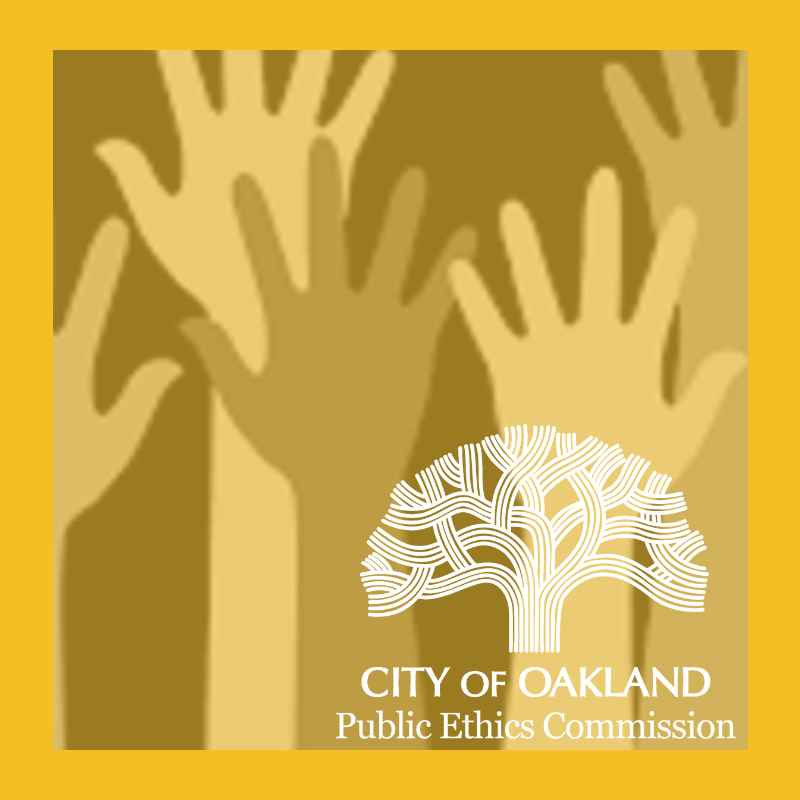 The Public Ethics Commission meets on the first Monday of the month at 6:30 p.m. in City Hall Hearing Room 1 (unless otherwise noted). Meetings are generally broadcast live on KTOP Channel 10. Subcommittees meet on an as-needed basis. For more information, please call 510-238-3593.